Born in South Africa, Michael Halliwell studied music and literature at the University of the Witwatersrand in Johannesburg, and at the London Opera Centre with Otakar Kraus, as well as with Tito Gobbi in Florence. He was principal baritone for many years with the Netherlands Opera, the Nurnberg Municipal Opera; and the Hamburg State Opera, and he sang in many European opera houses. He took part in several world premieres and had frequent appearances at major European festivals in opera, oratorio and song recitals. He has sung over fifty major operatic roles, including Don Giovanni, Papageno, Count Almaviva, Gugliemo, Posa, Germont, Gianni Schicci, Ford, and Escamillo . He has given papers on music and literature at many international conferences and has published widely in the field. He gave a series of lectures on Shakespeare and opera at Cambridge University in 2003. 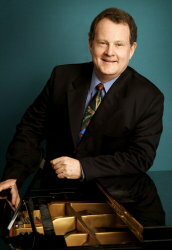 He is Vice President and Editorial Board Member of The International Association for Word and Music Studies (WMA), and has written and presented many TV and radio programs. He regularly gives lectures and seminars on the operatic adaptation of literature into opera. He has organised several seminars with Opera Australia in regard to new productions of operas such as A Streetcar named Desire, Billy Budd, Peter Grimes, and most recently, a seminar on the production of Brett Dean's adaptation of Peter Carey's Bliss. He has contributed many program articles for Opera Australia . Currently on the staff at the Sydney Conservatorium of Music, he has served as Chair of Vocal Studies and Opera, Pro-Dean and Head of School, and Associate Dean (Research). He performs regularly in Australia and abroad, and has recorded many programs for ABC Classic FM and 2MBS FM. A double CD of settings of Kipling ballads and Boer War songs, When the Empire Calls, was released by ABC Classics in September 2005. He performed the world premiere of Lawrence Kramer's song cycle, Five Songs and an Epilogue, from The Wings of the Dove, in Edinburgh in August 2007 and performed Kramer's Nine Songs to Ezra Pound in Vienna I June, 2009. His book, Opera and the Novel was published by Rodopi Press (Amsterdam/New York) in January, 2005.